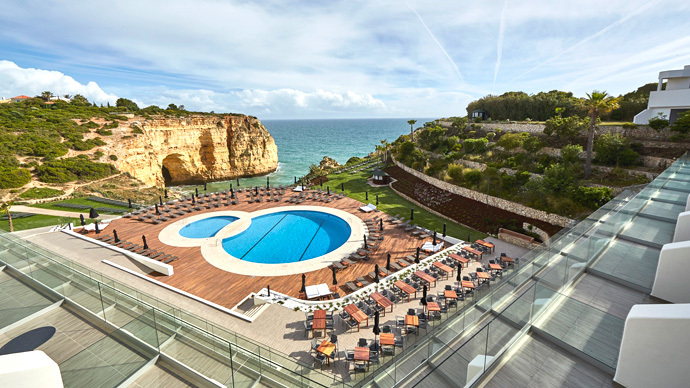 Take a look at our Top Golf Holiday Deals in Algarve, Portugal, personally selected for you by Tee Times Golf Agency team of experts, based in Vilamoura. 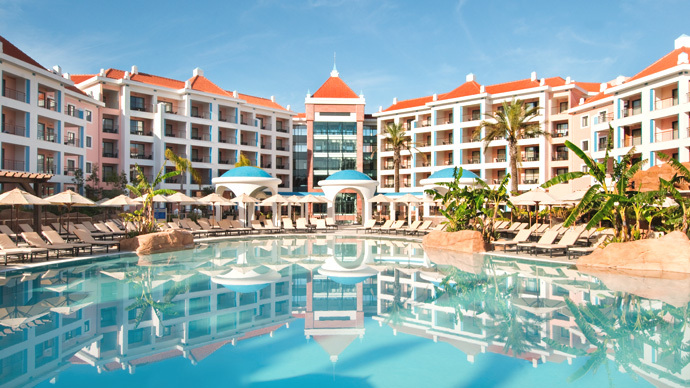 Nestled in beautiful gardens near Vilamoura, Hilton Vilamoura As Cascatas Golf Resort & Spa features Portugal’s largest state-of-the-art spa, 6 pools and lush hanging gardens. The luxurious rooms feature an LCD TV with cable and satellite channels. They include a private balcony or terrace overlooking the nearby golf course or gardens. Hilton Vilamoura offers a daily complimentary shuttle service to Falésia Beach and Vilamoura Marina in the summer months. 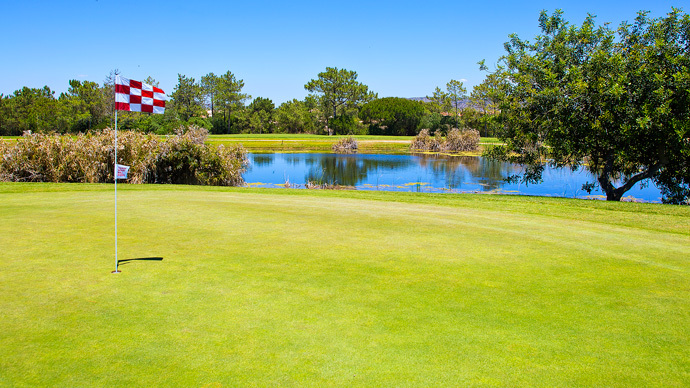 Golf enthusiasts can enjoy one of the nearby, top level golf courses or the onsite Golf Centre. For younger guests there is supervised fun at Paradise Island. The main restaurant enjoys panoramic views of the gardens. Guests can sample traditional Portuguese and Latin cuisine or international dishes alfresco-style. A special à la carte children’s menu is also available and the beach bar at Falésia Beach serves light snacks and refreshing drinks. Tivoli Carvoeiro offers modern accommodation and seaviews from its terrace bar. Situated on a clifftop, its outdoor pool overlooks Praia Vale Covo bay. Carvoeiro is a 10 minute walk away. Each room has satellite TV, air conditioning and coffee making facilities. Sample local wines and fresh catches at Med Food & Wine restaurant, or authentic Portuguese treasures at The One Gourmet located on the 5th floor and featuring seaviews. Light snacks and drinks are available at Mare Bistro, the poolside cafe. The hotel is located 5/10 minutes drive from several golf courses. Slide and Splash is 5 km away. 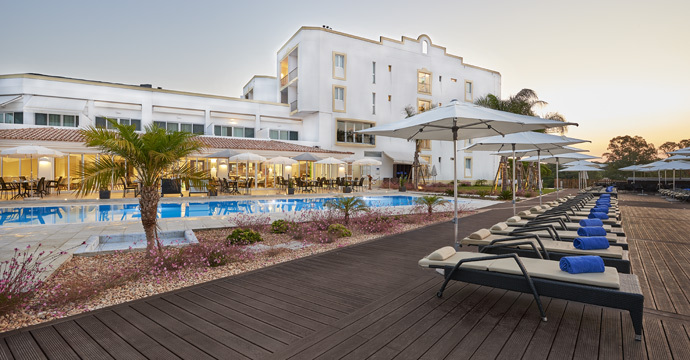 Morgado Hotel Golf and Country Club ,set at the foot of the Monchique Mountains, this 4-star hotel is part of the Nau group. It features 4 swimming pools surrounded by large landscaped gardens. The soundproofed rooms at NAU Morgado Golf Hotel feature free internet access and flat-screen TVs with cable channels. 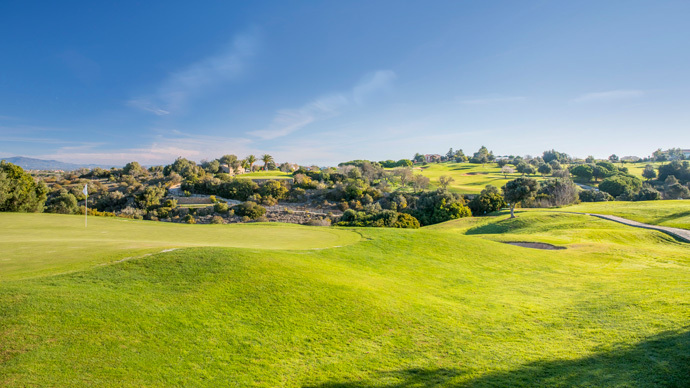 Panoramic views of the Morgado Golf Course can be enjoyed from each room. The hotel is surrounded by two 18-hole golf courses. There are 2 outdoor pools with an adjacent sun deck and 2 shallow pools for children. Tennis courts are also available on site. NAU Morgado Hotel features a restaurant serving rich buffet menus. After a round of golf, you can enjoy a drink or a snack at the club house. Famous beach ''Praia da Rocha'' is about 12 km from Golf Hotel NAU Morgado. For guests visiting the Algarve by car, free parking facilities are available on site. 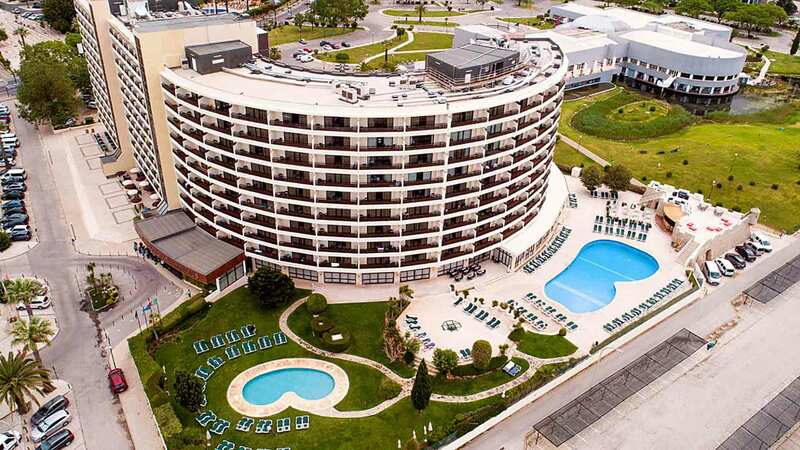 Faro International Airport is 50 minutes away from the hotel. Attractive and magnificently located overlooking the Atlantic Ocean, Dona Filipa & San Lorenzo Golf Resort welcomes all with a touch of glamour and the essence of true quality. For sun and beach loving clients, the Vale to Lobo Beach is situated a mere 100 metres from the hotel. During the summer months (June to September), clients have free access to the hotel's Beach Club, at Vale do Lobo Beach, having the right to free use of beach towels, sunbeds and sunshades. This hotel offers modern accommodation with wired internet. It features a large outdoor pool, a private beach and a well-equipped wellness centre. 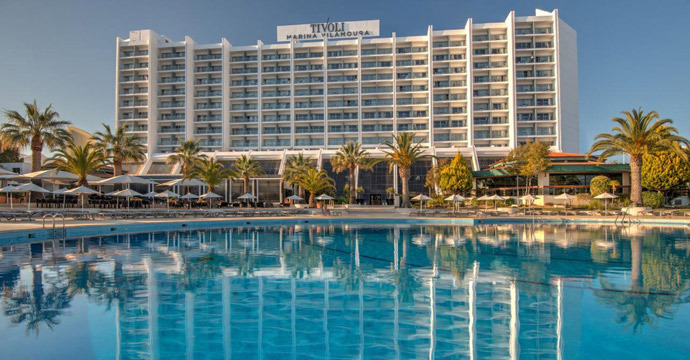 Tivoli Marina Vilamoura’s rooms are decorated in soft colors and include satellite TV and a minibar. Each room has a private balcony. Bathroom amenities are provided in each en suite bathroom. The resort is located on 30,000 m² of private gardens where themed dinners and entertainment shows are held regularly. Tivoli Marina Vilamoura also has a spa with various body and health treatments. Tivoli Marina Vilamoura is 1.5 km away from the Roman Ruins. 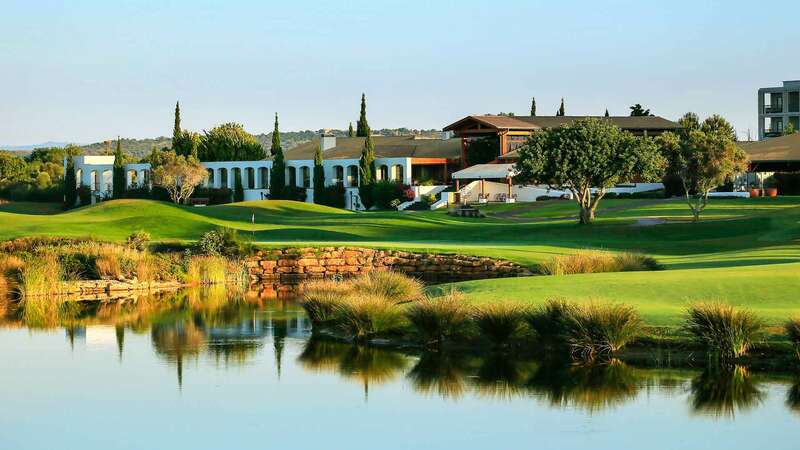 Penina Golf Hotel is set within stunning 360-acre gardens, this resort enjoys an ideal location in the south-west of the Algarve. It is 5 km from Portimão and the city of Lagos. 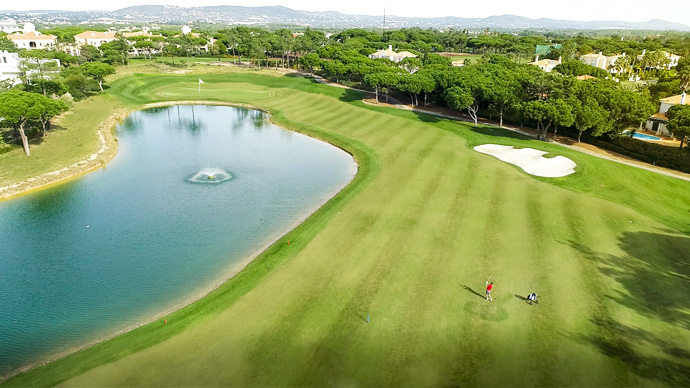 Le Méridien Penina Golf & Resort offers English architecture, Portuguese hospitality and a European lifestyle. 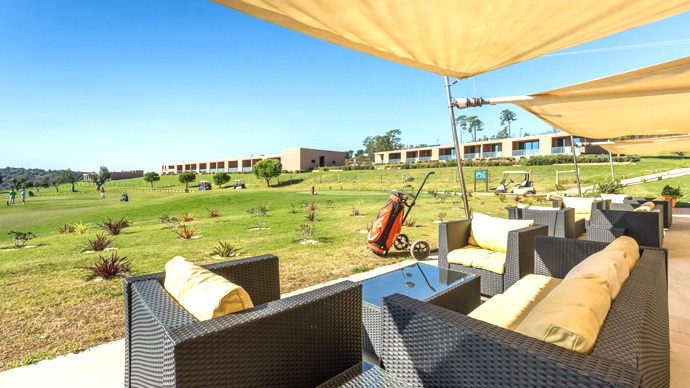 The high standards of service and the numerous facilities make Le Méridien Penina the ideal resort for families, golfers or anyone who wishes to relax. The new and wider golf driving range now has 12 covered practice bays. The driving range can cater for up to 70 players. 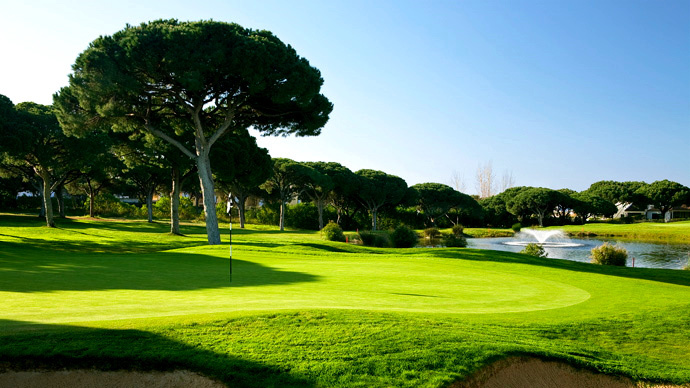 Book Palmares golf course and play three rounds for a great price. West Algarve, Portugal. 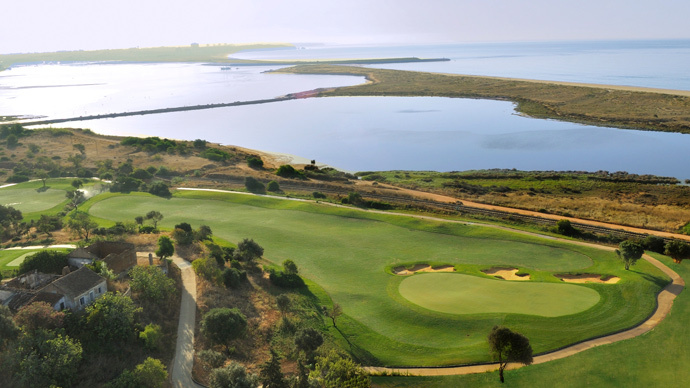 Book Palmares golf course and play it twice for a great price. West Algarve, Portugal. 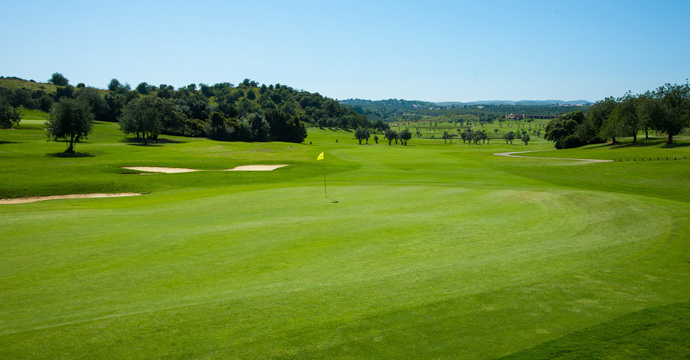 Book Salgados, Morgado & Alamos 3 golf rounds golf package. Morgado hosted Portugal Open in 2017 & 2018. Albufeira and Portimão, Algarve. Portugal. 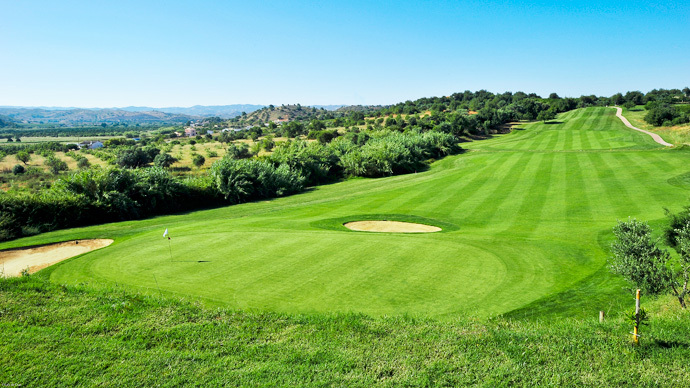 Book Salgados, Morgado or Alamos 2 golf rounds golf package. Morgado hosted Portugal Open in 2017 & 2018. 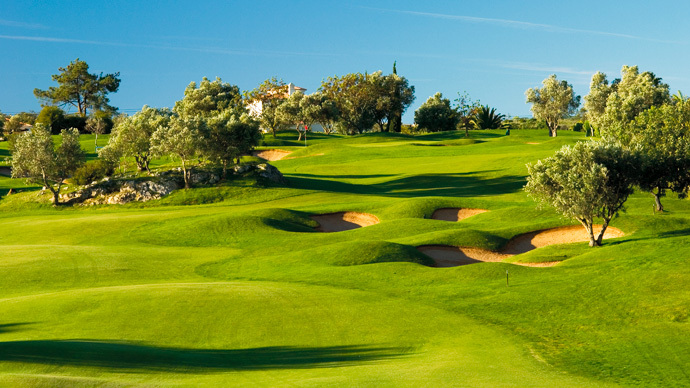 Great variety of holes on this golf courses.Albufeira and Portimão, Algarve. Portugal. Excellent professional prompt efficient service! 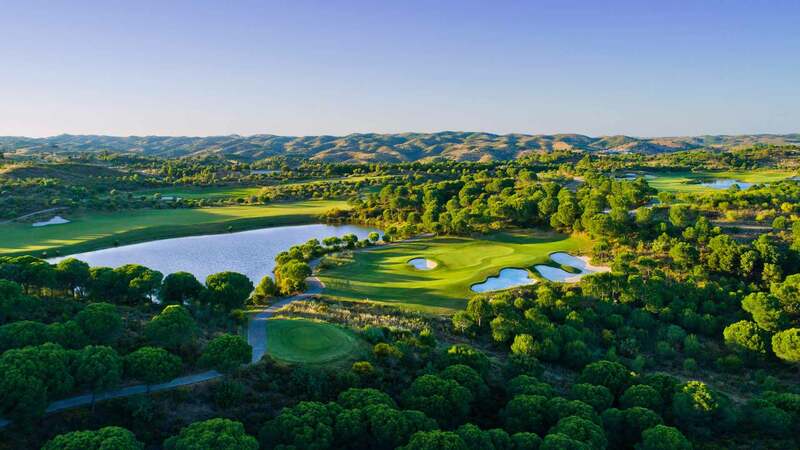 If a Portugal vacation is on your bucket list and you want to visit an absolute golfer’s paradise, the Algarve offers some of the best golfing experiences on the planet. When you combine fascinating natural scenery with some of the world’s most beautifully designed golf courses, you end up with one of finest locations you can imagine to enjoy the Great Game. 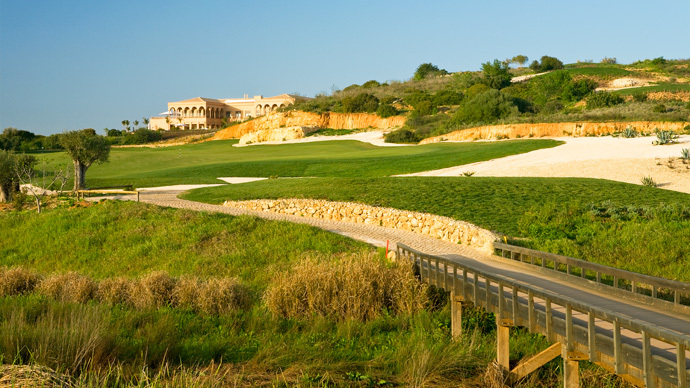 Portugal’s hottest golf destination – the Algarve is suitable for all golf players regardless of their holiday budget. 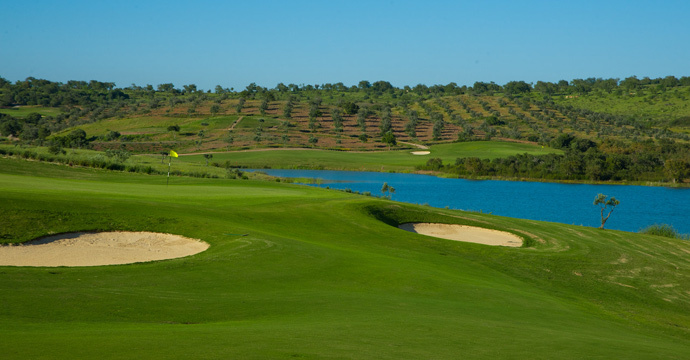 AlgarvePackage.com have chosen among the very best golf packages with the lowest green fees on its online golf booking system. 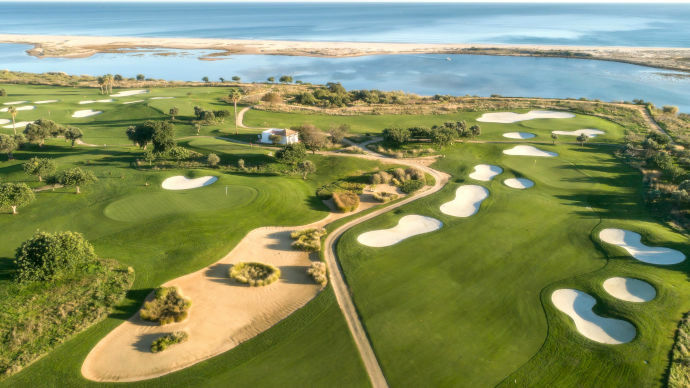 Explore all types of the Algarve golf courses, from classic to more contemporary golf courses,created by golf legends, such as Jack Nicklaus, Arnold Palmer, Trent Jones Jr, Severiano Ballesteros, Nick Faldo, and many more golf icons, satisfying the most fussy golf players. 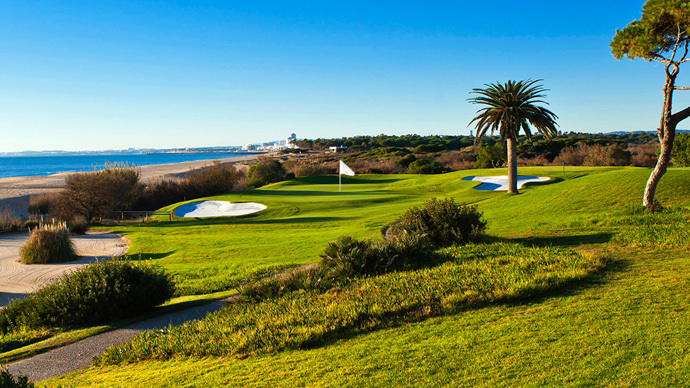 Vast majority of Golf Holidays accommodation possibilities make Algarve a perfect golf retreat for all kinds of players. 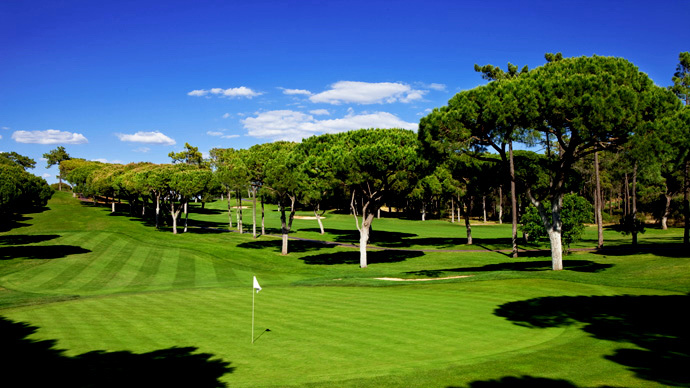 Enjoy Algarve’s numerous golf hotels, apartments, villas, beach hotels or golf resorts, ranked from 3 to 5 stars. Algarve’s rich offer does not stop there. Explore local touristic attractions, spend some time shopping, taste delicious Portugal national dishes in several restaurants, bars or visit some of the popular nightclubs for the complete joy. Reaching or moving around the Algarve has never been easier thanks to Faro International airport opened since 1965, and receiving more than 8 million passengers a year from all over the worlD, due to hundreds of airlines operating all year round. Airport transfers, hotel and golf shuttles, and car rentals, are very popular and easy to get, so you just need to focus on enjoying your golf holiday at its max. We at Tee Times Golf Agency will help you plan a sensational golf break, family holiday or business convention in the Algarve. 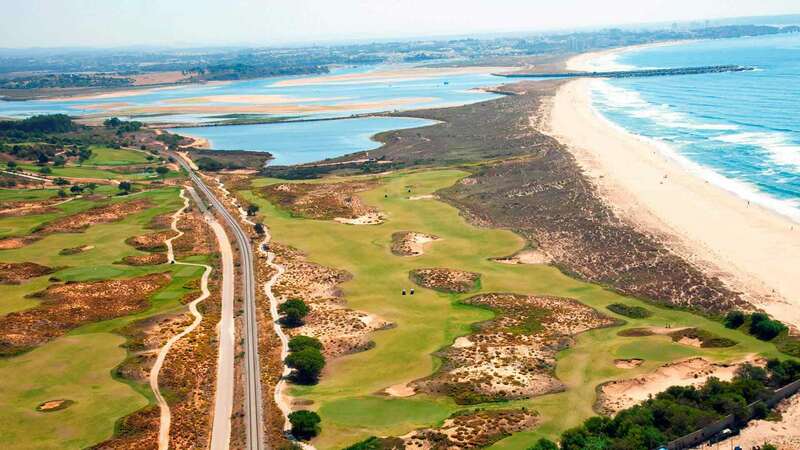 For more than 20 years, we have organized innumerable holidays and made thousands of satisfied golfers and holidaymakers, being unquestionably your best partner in Portugal. Browse our portfolio with tailor-made golf trips or customize your own – you choose what suits you most. Enquire today and let us create your personalised self-drive Algarve package or escorted premium Algarve golf tour.